How can ecommerce business leaders like you build your brand and reach your target audience? What does it take to build an ecommerce business away from Amazon? On this episode of The Amazing Seller, you’ll hear from business leader and entrepreneur Ryan Lee. 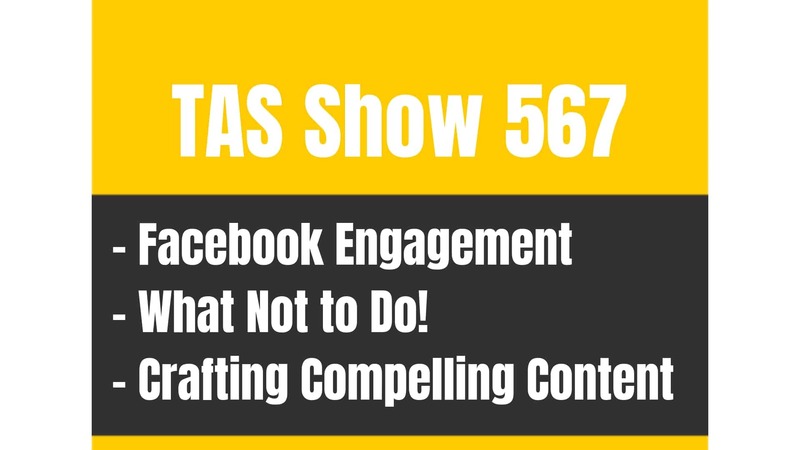 Ryan returns to TAS to give an update on his career, what his new brand is all about, why it’s important to take a long view approach, how messaging matters, and so much more! Learn what you need to grow your business and take your brand to the next level. You don’t want to miss a minute of this fascinating and engaging episode featuring Ryan. How can you take the steps to set your product up for early success? Find a problem people are having with a topic or current product and solve it with your product! On this episode of The Amazing Seller, you’ll hear from Ryan Lee as he explains why addressing a common problem can lead to brand success. Consumers will fork out a lot of money on the marketplace for solutions to some of the most irritating issues. To build off of this concept, take Scott’s approach and find a problem you can solve in a niche passion/hobby industry. According to Scott, that’s the perfect brand recipe. To hear more on this important topic, make sure to listen to this episode! You need a face for your brand! One of the most important concepts for entrepreneurs and business leaders to understand is how important consumer trust is to the growth of your brand. Don’t take it for granted, you have to work hard to earn the trust of your target audience because they won’t trust you right off the bat. 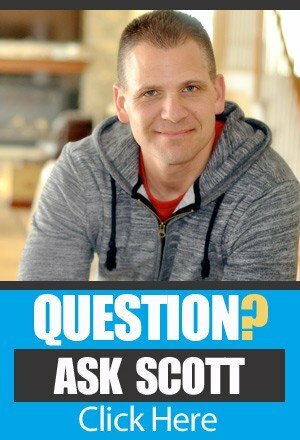 On this episode of The Amazing Seller, Scott lays out what it will take to build the trust of your customers. While building customer trust is not easy, Scott is convinced that the effort is worth it. A good way to start building that trust is by posting videos and sharing your face or that of your spokesperson who will serve as the face of the brand. Find out why this so crucial for your brand’s profitability on this episode! Don’t be afraid to take a risk. If you are going into the ecommerce business sector to play it safe, you might not be in the right market. Come to grips with it now, if you want to have success you have to be willing to take a risk! On this episode of The Amazing Seller, you’ll hear from Ryan Lee as he stresses the importance of taking a risk to get the ball rolling. What are you waiting for? What is holding you back? Do your research, that’s is an important step but sooner or later, you’ve got to take action! Learn more about taking risks and moving toward action on this informative episode featuring Ryan, you don’t want to miss it! Building a successful brand is a marathon, not a sprint! What are your long-term goals for your ecommerce business? Do you want to build it in order to sell it a few years down the road? Are you hoping that it will end up providing your long-term profitability? Or are you looking to get quick success and cash? On this episode of The Amazing Seller, Scott, and his guest, Ryan Lee explain why you need to remember that ecommerce brand building is a marathon, not a sprint! Both of the guys have seen too many leaders get started with their ecommerce business only to wash out in a few months. Don’t let that happen to you! Adopt the long-term view of success and learn from Scott and Ryan’s example. Find out more on this episode! [3:00] Ryan Lee joins the podcast. [4:30] Ryan explains how he got started with his new brand. [9:00] Why it’s vital to solve a problem with your brand. [13:00] How Ryan plans to make his brand stand out from all the rest. [19:00] What will Ryan do to get his brand to hit the ground running? [23:00] Why Ryan will serve as the face of his brand. [28:00] If you don’t risk something, you’ll never find success! [38:30] Take the long view approach, profitability will come. [45:30] Messaging and marketing matters. [48:30] Closing thoughts from Ryan. …an awesome case study that I want to share with you and this case study is just getting started right now and what that is, is a good friend of mine, Ryan Lee, has agreed to come back on the show and I started to see that he was building a brand from scratch. And I’m not going to tell you exactly what the product is. He will tell you what it is, but he actually is going into a pretty competitive space and get this, he is not even going to launch on Amazon to start with. And he may not even launch on Amazon altogether. He doesn’t think he has to. I personally think he should, but you’ll hear him, and I discuss that throughout this conversation. But really what we’re going to be talking about is him building a brand from scratch without using Amazon. What he plans to do to launch this, how he plans on launching it, his future plans as far as how to reach the market, how to tap into a very competitive space and really make himself stand out. So, really excited for you guys to hear this. Again, this is in the very beginning stages, he hasn’t even launched the product yet but you’re going to hear exactly how he plans to launch it and then also what he plans to do after it launches. So, really excited to have Ryan back on. If you guys missed Ryan Lee’s episode when I had him back on in Episode 318 which ironically is kind of crazy, it was exactly a year, almost to a T that I had him on the show and the crazy thing is and you’ll hear us discuss this, he had no thoughts of creating a new brand from scratch at that time. Things just happened throughout this past year that made him think to himself about a product and then he wanted to launch this brand. So, really awesome but that episode was 318. [00:02:07] Scott: So, again, I’ll link all that up in the show notes. You’re probably going to want to download the show notes, transcripts. Head over to TheAmazingSeller.com/492 and, yeah, I am really, really excited for you guys to hear this. Always fun hanging out with Ryan. I’m a big fan of Ryan’s. I have been for years and now to be able to call him a friend is pretty awesome. So, get ready to learn a ton through this and just really pay attention because there’s a lot of value bombs that are dropped here in this episode. So, definitely pay attention. You’re probably going to want to go back and listen to this one again. All right, guys. So, I’m going to stop talking now so you can listen to this conversation that I have with my good friend, Mr. Ryan Lee. [00:02:50] Scott: Well, hey, Ryan. What’s up? Welcome back to the show. What’s happening, man? How you doing? [00:02:56] Ryan: I’m excited, Scott. This is my second appearance. [00:02:59] Ryan: I want to be the weekly guest. I want to be your Ed McMahon, my friend. No, I’m excited. This is fun because when we talk last time, I don’t know if I had started this company yet. I don’t even know if it was an idea in my head because we spoke a long time ago, I’m excited to dive in and talk about what we’re doing and help as many people as possible. [00:03:21] Scott: Yeah. You know, what’s cool about this, I’m actually looking back at the episode that you and I did. It was Episode 318 so I’ll link that up in the show notes and everything so TheAmazingSeller.com/318 and you guys can get that episode there but I’ll link up in this show episode as well. But we talked about email marketing to select your products without being a jerk. [00:03:41] Scott: So, that was our topic but I’m looking at the date, Ryan. It was actually February 8 that it was published last year 2017. So, we’re right about a year, a little over a year. [00:03:52] Ryan: A year. Yeah. [00:03:53] Scott: So, we’re talking like look at what has changed. [00:03:58] Scott: I don’t know if it was, but I don’t think it was. It wasn’t really like a thought. [00:04:04] Ryan: No. It wasn’t at all and this could kind of lead into the brand like how we built this. So, it’s so funny. I didn’t realize it was a year ago. [00:04:14] Scott: It was. Yeah. [00:04:15] Ryan: It was and that’s exactly when, so I had just gotten back from vacation. We have a February break every year. I have four kids and we went to Florida just for sun, just to hang on the beach and the pool for like a week. And from that, it was a year ago I said, “I’m changing my health, my nutrition, my exercise,” and since then I’m down now and I’m now back at the same weight I was in high school, the same pant size I was in high school. I’m down about 35 pounds and as I started – my background the bizarre thing is I’m a former personal trainer. My master’s degree is exercise physiology, so I knew this stuff. I just wasn’t living it and I’m like, “Let me get back to simplicity. What do I need to do?” And I knew like, “All right. It has to start with my morning routine. It’s got to be good in the morning. I can’t have a donut or crap,” and it’s got to be something that I can eat fast so I’m like, “Let me start with a bar.” At first, I thought it would be a smoothie, but the reality is like who’s going to start messing with all the fruits and vegetables and all that sh**? So, I’m like bar. So, I’m looking for a bar and I couldn’t find a good one because the protein bars, the artificial flavors and sweeteners and sugar alcohol which makes you go to the bathroom. The green bars had no protein or they tasted like lawn. [00:06:29] Ryan: The green bars, the fruit bars which is too much sugar, I’m like, “Why can’t there be a bar that kind of has everything?” And so, after a few months so I had different bars and it worked just because it would carry momentum. They have been like, “Why can’t there be a better bar?” And about after three or four months when I started losing weight, I’m like, “That’s going to be my next thing.” So, it came with the idea of I’m going to build this new company around a bar based on what I would want and what I know everyone else in the 40s and 50s would want. Because I’m 45 now and I’m like something for us like it’s really cool that there are products for millennials and like the guys in beards and tattoos. That’s cool. But what about like GenX? So, that was the idea. That was the spark but it’s funny that was a year ago because that’s exactly when it wasn’t even an idea at that time. [00:08:21] Ryan: Kind of sort of. [00:08:21] Scott: It’s not supplements but it is kind of. It’s a replacement in a sense or an aid of something. [00:08:26] Ryan: Yeah. I mean, it’s definitely in the nutrition space and this is what we’re launching with. So, where it’s going to go I’m not sure but I’m not calling it – and it’s called Rewind. I’m not calling it a nutrition company. I’m calling it a health company because I want to give us the flexibility to because, I don’t know, are we going to eventually do different types of health products? Are we going to do maybe a really good turmeric or an antioxidant? I don’t know yet. Are we going to do skincare? I don’t know. But something that I want to be able to have the flexibility to deliver different products but, yeah, I was in the supplement world. I never thought I’d go back but you know what? It really comes down to one thing. With your business, it’s solving a problem. I mean that’s where it starts. And if you’re creating a product that’s solving your own problem, even better because you got the story and you got the relics. [00:10:14] Ryan: I won’t so you don’t have to delete. If it’s crap in a bottle and you’re doing it just to make money and to screw people, then that’s not good. So, this is about creating a brand like a company, a movement, something that’s going to have legs for years and years and years. Not slapping a label on a bottle. You can make money with that. You can learn. You’re really good at that stuff like Amazon algorithms and keywords but a lot of that doesn’t necessarily last. It’s cool because Amazon can promote you and you can get some traction and get reviews and there are some good things that happen, but you still rely on Amazon because if Amazon one day says, “You know what,” and by the way, it’s already happening. They’re starting to do their own supplements, right? Like, they just kind of squeeze you out and you’re screwed if everything’s on that platform. But when you build your brand like Rewind is going to be its own brand, that’s going to stand on its own. We’re not going to rely on Amazon or any other platform. That’s the magic. That’s how our last two nutrition companies both hit eight figures in sales because we didn’t rely on third-party platforms. We can use them but that wasn’t the main thing. And what’s funny is even with this new company, Rewind, we’re actually not even going to be on Amazon. I know it’s crazy. Everyone is saying you need to. We are going to be all about selling direct to the customer. I’m giving them the best products at the absolute best prices and we’ll sacrifice some margin. We’re okay with that. We’re okay doing our own marketing and not relying on Amazon but it’s a risky ballsy move but I like to shake things up. [00:11:58] Scott: But again, like a year ago you didn’t think you’d probably have this company. Who knows? That could change too. [00:12:05] Scott: If you and I hang for a night you might change your mind because, I mean, to me it’s not even about like, yes, you’re giving some of that out there but you’re also may be missing what some of those people that could be benefiting from the bar if you’re able to go on that platform but that’s for a whole other conversation. I respect 100% what you’re saying, and I love it. The one thing I want to ask you though is like so in this space, it’s competitive. You know that. You got to come up with your story. You got to come up with your marketing and especially if you’re not going to be using Amazon because again Amazon is a trusted platform. So, when I go to buy something, it’s like if I see it on Amazon I feel it’s trusted because I know that if I have a problem, I send it back. How are you going to differentiate yourself in this big world of health and fitness and supplements because you’ve been doing this for years now? How do you create yourself? What is your game plan moving into this thing to launch and to get some momentum especially because you’re not going on a platform where there’s already buyers searching for nutrition bars? You know what I mean? So, how are you going to do that? [00:13:07] Ryan: This is going to be – we’re going to change people’s lives here. Okay. We’re going to go deep right now. [00:13:15] Scott: Good. Let’s do it. [00:13:17] Ryan: Let’s do it. This is going to be – you might be able to sell this thing. Okay. So, this is what most people do, and you said it. You said, “How do you differentiate yourself from the other bars? How does a supplement company differentiate themselves from other products or anything?” Here’s the real, real secret. We’re not competing with them because we’re creating our own category. So, let’s break this down. There’s really three things. There’s your product so with us it’s the bar. Whatever that thing is you’re selling, there are the products. So, I want you to write down like what their product is. That’s one thing. Ours is called the Rewind Superbar. Then you’ve got your business, your business name, your company name or your brand. Our brand is Rewind. So, you’ve got your product then you’ve got your brand so how is your brand going to be different? What’s the story behind it? Our brand is it’s called Rewind because we’re really focusing a lot on GenX and it’s going to be about the rewinding the clock, rewinding the years. We’re going to have a lot of the kind of fun with this retro 80s, 90s feel. I know some people could probably watch the video. If they’re watching the video they could see behind me like I have a Ferris Bueller’s Day Off poster. [00:14:43] Ryan: The A-Team and Breakfast Club like you could tell I was born in ‘72 and I grew up late 70s and 80s so that’s like my world. So, we’re going to tie into that where other companies aren’t doing that in my space. And I’m not saying that’s what you should do. You’ve got to do what’s right for you. If your product is for seniors then maybe your brand is a little bit different. We’re not trying to out-organic people. You can’t do that. So, you’ve got your product. What’s the actual product you’re selling? You’ve got your brand and the third thing which is really the toughest, it’s the most challenging, it’s what’s your category? What are you creating? So, for example, with our world, there’s a nutrition bar space and within that big umbrella, there are protein bars so there’s a lot of protein bars. [00:15:38] Scott: Yeah. There’s a ton. [00:15:40] Ryan: Right. Ton of protein bars. A lot of them are pretty similar. A lot of them look the same. They have a picture of like red velvet cake or smores or birthday cake on the front. They taste nothing like it. It usually tastes like garbage. A lot of protein, very little sugar because either it’s all sugar alcohol and if it’s too much sugar alcohol, you go to the bathroom all the time or it’s all artificial sweeteners like sucralose which you really don’t want to eat. So, you got protein bars then you’ve got the fruit and nut bar category and then you’ve got green bar category. We don’t want to play in any of those categories because there are already people. There are already market leaders in those categories. Maybe you could argue, “Well, the green bar that’s not really a leader.” Maybe we could’ve played there but the key with us is going to be we’re creating our own category and were calling it the superbar. So, it’s going to have protein. It’s going to have high-fiber. It’s going to have greens. It has spinach and kale and green tea. It’s going to have fruit. It has strawberries and blueberries and cherries. So, we’re basically saying, “Look, we’re not even competing with that.” If they say, “Well, why are you better than a protein bar?” Well, we’re not a protein bar. We’re a superbar. So, we’re creating our own word, our own category. That’s how we’re going to compete. It’s really hard to do. It takes a lot of effort and strategy and resources. I’m not saying it’s for everybody but those are the three things you have to be aware of as opposed to here’s just another fish oil and let me call it Double Fish Plus. And you’re like trying to like out-fish everyone else. Well, our fish they dance. So, product and then you’ve got your brand and then you’ve got that category. When you get those three things, that’s how you can compete. I couldn’t compete creating another protein bar. Maybe I can take a little slice but it’s a lot of effort, a lot of money. [00:17:44] Ryan: I’d rather own the category and I want to build up this category. There’s going to be other players in it eventually and that’s fine, but I want to have this category healthy. We want to be the first. We want to be the one that two years, maybe a three-year plan, three years from now when people say superbar, “Oh it’s Rewind. They invented it. They invented the category.” That’s how you freaking win. [00:18:42] Ryan: Yeah. A couple of grays. [00:18:43] Scott: Yeah. A couple of grays. So, I’m totally in that space but so what is like there’s so much that you could do, and I think that’s where people get overwhelmed too like we do this, we do that, we do this. What’s your first like plan of attack in a sense to where you can penetrate the market or at least establish yourself that you’re a market or category? [00:19:03] Ryan: Okay. So, again, the big thing though, so you’re talking tactically like on the ground what are you doing tactically. Now, as of this recording, obviously, we haven’t launched yet so there’s only so much you can do pre. I’m not doing pre-orders so there’s only so much you can do to build buzz ahead of time. You also don’t want to spend a fortune because I don’t know what our lifetime customer value is yet. If I said, “Look, I’m going to put $3 million in cash in this,” I don’t like to risk a lot of money so we’re doing kind of a little bit of a slow build. Before we get tactically, again, strategically I want to make sure people get that. They have to know their place and if you’re going go to create a category, you have to know that that’s what you’re doing and then you have to start looking, okay, so tactically who are your competitors? Who are the people that are currently playing in kind of different verticals that you could kind of get your messaging around? Then it’s a question of what are your platforms, what are you good at? Where is your audience? So, for us, our strength is Facebook. I mean, in terms of platform, that’s our strength. Our target market is going to be people, your age, my age. It’s probably going to skew a little bit more towards women, probably 60%, 65% female audience. They’re going to be on Facebook and the other thing we’re starting to play with now is Instagram but that’s kind of where we’re going to be playing. So, now we have a landing page. We added some software component where there’s some sharing where you could win a year’s supply of bars once we go live to get on the early bird and people are signing up every day. They’re starting to share it. We’ve been putting out content. We’ve been putting out we’re actually going to start filming videos in two days. So, we’re going to start putting out videos and recipes. We’re going to really play and start putting out those videos, start turning some of those videos into ads, into Facebook ads to start building the list. [00:21:03] Ryan: But that’s it in terms of tactically. Like, really pretty simple stuff. I’m also starting to now do outreach to my contacts who have podcast who are in the media. I have a lot of connections now in the New York media so I’m going to start getting. I just filmed a TV show about two weeks ago. I’m filming another one. It’s a health show that’s syndicated and it’s going to be in LA. So, starting to do some of that stuff. So, it’s just an end doing the email, emailing the list. I’m going to start my podcast because I have a pretty good following. So, I’m starting up the Ryan Lee show again where it’s going to be instead of talking about my business, it’s going to be more personal development so drawing within that. There’s a lot of different things we’re doing. I’m not trying to be like trying to be everywhere. It’s not possible. [00:21:48] Scott: I’ve seen that email this morning by the way. [00:21:51] Ryan: People like that. I like to kind, well, by the way, that’s the other thing, right? [00:21:55] Scott: I love it. [00:21:57] Ryan: Sometimes you got to cause a ruckus. I’ve been talking a lot about ruckus lately and you have to be willing to kind of get out there and stir it up a little bit. The worst thing is just to be another me too brand. So, knowing that like what’s your brand, what’s the category, what’s the positioning and now is though before we go live is playing. It’s seamless work. Okay. We did a post about The Breakfast Club. We didn’t really get much interaction. All right. That’s not really working. We did a video on this. Oh, we’ve got some more shares. Okay. Now, we start kind of feeling it out and we’re building the infrastructure now getting things ready so when the product is ready, the idea is to sell out all the inventory within the first week. Take that money and reinvest. Yeah. [00:22:39] Scott: Is there a face to the brand? Is the face you? Is the face going to be a woman? Is there going to be like some type of person that’s the front of the brand? [00:22:47] Ryan: You know, it’s funny because that was a little bit of a struggle for me. With my last two supplement companies, no one even knew that it was mine. I mean, one person I was talking to, he wants to be a trainer he said, “Oh, I love Prograde.” I’m like, “Do you know that’s my company?” No idea. He had no idea. Because I just didn’t want to be the face of it. Especially for training like six-pack abs and all this but I feel for the first time with Rewind it is me like this is like you’re my cohort but I’m talking to people in the 40 and 50s and now the fact that I’ve used my story that I’ve lost 35 pounds that I’m back to the same weight and pant size I was in high school that I’ve never felt better in my life that I reversed the autoimmune thing. Why can’t I be the face of it? And I love talking about it. No one’s going to be more excited about it than me. So, yeah, I’m leaning into it and I’m like, “You know what, I’m okay being the face of it.” So, I have to be kind of the face and the driver of it. Some people aren’t comfortable with it. We’ve had other people be the face of the companies. I just found when I can do it, no one’s going to beat me. [00:23:53] Scott: Well, I was going to say your energy is there. You feel passionate about it. That’s going to come through. I think there might be a time that you’ll be like well in order to grab more of the woman’s end of it, we’re going to have to have a female in there. [00:24:05] Ryan: Yeah, and we do. There’s actually one female trainer who’s incredible who’s about 42, 43. So much energy, amazing and she already said she can do it. She’s going to start filming some videos with us too. So, we’re going to start incorporating her and I have a really good network of health and fitness professionals that we’re going to start highlighting other people too. Yeah. Definitely. [00:24:25] Scott: So, what’s the potential launch date? I mean, not that you have to give us an exact time but are you a couple of months out? Are you six months out? I know you’re probably sticking testing and stuff. [00:24:35] Ryan: Yeah. The bars are actually going to be delivered as of this recording in about three weeks. So, they’re going to be delivered like last week of March. We’re going to send a couple of thousands of bars to different people we know, different influencers, different people who have lists and then we’re going to go live mid to end of April 2018. [00:24:54] Scott: Okay. And so, how many do you purchase on something like that on your first run? You know what I mean? [00:25:00] Ryan: Yeah. We have about 20,000 bars I think, which a bar is a whole different animal, by the way. If anyone’s thinking, “Oh, I’m just going to copyright and do a bar.” I was in the supplement game for a long time. Much different because those are stock formulas. You get your label on. In two or three weeks, you’re done. A bar you have to do taste testing and the right formulations, and you have to do tens of thousands of bars, otherwise, price is too high. It could cost you $4 a bar. You can’t make money with it and it’s a lot of times the lead time is two months. So, it’s a very tricky business which is good for me because it’s a much higher barrier to entry. [00:25:42] Scott: Yeah. A lot of people don’t want to mess with that. [00:25:44] Ryan: Most people don’t. It’s a challenging theme but I’m thinking longer term and we’re going to have some fun. [00:26:35] Ryan: Oh no. Even now, I mean it’s been months and months. One little thing, we’ll get a bar sample, you’ll taste it, you’ll be like, “Oh, it needs a little more crunch.” Then it goes back, they go back. They reformulate. That’s another three weeks of the ways. But you’ve got to make it good. Look, I can’t teach business and entrepreneurship unless I’m building something. And I built a lot of companies, so I’ve been able to do it for a while, but I felt like I haven’t started it a new none-internet marketing company a few years so like it all kind of came together and things happened for a reason. So, I love doing and building and I like teaching about it. There’s nothing – it’s like a living lab. So, it’s going to be fun. [00:27:25] Scott: It really is. Okay. All right. So, now at this point, though like you’re kind of set up, you’ve got your things in place. You kind of got a plan but, again, you’re going to be kind of going as you kind of doing as you kind of move forward and kind of adjusting and pivoting. [00:27:41] Ryan: Yeah. What did Tyson say? Everyone has a plan until they got punched in the mouth. [00:28:03] Ryan: You don’t know. You don’t know until you’re actually doing it. And that’s why also you have to keep your risk down. I’m not putting millions of millions of dollars at stake here. I mean, even 10, 15, 20,000 bars I’m not going to say a bar cost $1 but I’m not risking our future. We don’t have to sell our house if – if I don’t sell one bar, it’s a tax write-off. Okay. What’s next? Whatever your risk profile is, whatever, if you only have $1,000 in savings, don’t put all a thousand into whatever that thing is but $50 like just let’s start playing. You don’t know. That’s why, Scott, in all these years I’ve built all these businesses and companies and products, I’ve never created a business plan because it’s not a business plan. It’s a business guess. Oh, we can get 3% of the market. You have no idea. You have no idea until you actually launch it and people take out their wallets and buy. So, reduce your risk as much as possible, give it everything you got, and go. And if we say, “Okay. Oh my god, we sold out the bars in 48 hours. We need a bigger run next time, or we only sold two boxes the first day, what’s going on? How do I adjust? How do I change some of the traffic? Some of the marketing?” Then you move. You do it as you go. And after a few months, you start to see the rhythm of the business. Okay. We know on Thursdays we end up getting more orders. We know on Saturdays is going to be this issue with shipping so then you start to adjust and you start to refine and fine tune and, “Oh my god, really our systems are getting crunched. We need to hire, A, Instagram. We need to take some money and hire an Instagram person or Instagram is not converting for us. Forget that. Let’s just shut down the damn channel.” So, you don’t know, and everyone is obsessed with like this is going to come out wrong, but you need to learn. [00:30:01] Ryan: You obviously always have to continue to study and learn even just driving here I was listening to an audiobook. I listen every single day. I’m always but I’m not saying, “Well, I’m not going to launch until I read that next book,” and I see it every freaking day, Scott, every Facebook group, “I want to launch this company. What book should I read?” And they’ll have 35 people that will read this book and like, “Okay, I got my list,” and there’s like I’ve got the next 18 books to read after the next seven months of reading. It’s like you know what, read one and now let’s go. [00:31:16] Ryan: No. You know what, I understand. I don’t know why I don’t have fear. [00:31:28] Scott: It’s a good quality. [00:32:21] Scott: Yeah. It’s perspective though. It is. Yeah. [00:32:56] Scott: Yeah. I agree. I think a lot of people, I mean, even if they’re not in the spotlight they feel like they might have been that one that’s been trying all MLMs. They’ve been trying all these different things, post-parties, this one, that one, Amway. Whatever? Right? All these different things and they look like a failure or just someone that’s seeking all these opportunities and they never do anything, so they feel as though they don’t want to do another thing and not be successful. [00:33:21] Ryan: Well, it’s also and you’re right because I know people like that. Every month is a different network marketing company or a different “scheme” but what they’re not – see, here’s what they’re doing. They’re jumping from like brand to brand to company to company. They’re most of the time especially there with marketing, network marketing the pitch is like, “Oh, you’re running your own business,” but you’re not. You’re an independent contractor. It’s fire at will and you’re promoting someone else’s product. There’s no stability there. If you at least plant something in the ground and say, “I’m Scott Voelker. This is what I do. I help people and, hey, I believe in this product.” So, there’s Scott, the person, the brand, the personality. “Here’s the thing I’m doing and trying. Come along with me,” then we’re, “Okay. What can we learn from that? Let me try it.” So, as opposed to just growing out a bunch of different things. So, at least I’m kind of anchoring in me, my name, a person. Yeah. [00:34:23] Scott: Yeah. No, that makes sense. But you’re right. I mean, a lot of people dabble, and they wonder why it doesn’t work but like you said, it’s just the same thing as being an affiliate, really. They’re kind of an affiliate in a sense where they’re promoting it. It’s just that they’ll have a downline and all that stuff but that’s for a whole other, you know. [00:34:38] Ryan: Yeah. But also, not even network marketing. A lot of times people just get behind the wrong thing or the wrong idea which is the article I wrote today was about everyone it drives me crazy, the whole I’m working while you’re sleeping. Why would you brag about that? Who the hell wants to be working? I want to sleep. You can go work, well, that’s what being an entrepreneur is about. It’s about having leverage and having other people help. So, but the problem with that mentality, with the hustle, the grind, grind through no matter what is what if you have the wrong idea and you’re going and going and going too, you never know when to learn. That’s why I don’t get emotionally attached to an idea. I’m really excited about Rewind. I know it’s going to work but if it doesn’t, okay. What’s next? You can’t out hustle a bad idea. [00:35:27] Scott: No. I think that’s the other question too like when is it time to call it quits? Like when do you give up? When do you pivot? And so, in your own head, you have to have some type of like expectation of like if I hit this then I’ll say it’s probably something I should continue with or if that didn’t work, it’s good. There’s got to be a reason. So, is it something we can fix? Is it something we want to fix? You know what I mean? Like, you don’t really know. I guess for you like if you put a bar out into the world, you’re going to get people saying, “I don’t like the taste,” or it was a little too hard or it was a little too this then you can formulate and come out with a renewed bar and you can just make it better or you can pivot. But you’re not going to know that until you actually get out there and get all these people. [00:36:14] Ryan: Yeah. So, you don’t know like and that depends on what your risk tolerance is. How much are you willing to put into it? Because if you do with a physical product, when you pivot, there is a real cost. 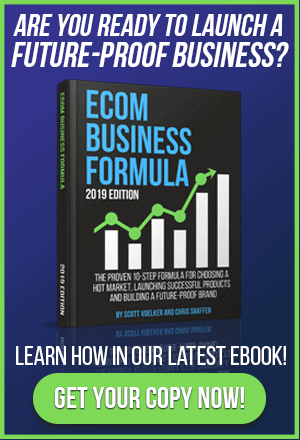 If you’re doing an e-book, there’s not really a cost to put out another e-book but a physical product, yeah, if you have to reformulate there’s a cost. If maybe you’re like, “Look, the brand seems to be working,” so that’s why I said there are three different things. There’s the product, the brand, and the category. You might say, “Well, people like the brand,” and even with Rewind we know people like the brand. They’re like, “Oh my God, I love it. It’s so fun. It’s so different. We like what you’re doing.” So, maybe the brand is right, but the product isn’t right. So, we keep the brand. Okay. Let’s now launch a secondary product. Maybe it is a supplement or a food product or something under this new brand. That’s why there are people confuse your product with your brand and they make it all the same thing. So, you have to know which piece and that’s why you have to keep watching and seeing. Well, okay, we know the brand is resonating. Maybe the product wasn’t right or maybe the category wasn’t right. Maybe we didn’t have enough resources and then you start to kind of know but if you say, “Look, I’m putting $100,000 in and that’s all I can afford to lose,” and we do the bars and it like bombs and we sell five boxes, do I want to put more in? Or am I like, “Look, that was it. We gave it a shot?” Everyone is going to be different, but I will say that if you’re doing it and you’re doing it for six months, a year and you’re still making no sales and you can’t even give the damn thing away for free, I mean, you could feel that immediately. If you have this great idea for this big course, “Oh, I want to create a freaking $2,000 course,” see, if you can give it away for free. You’d be shocked. If you can’t give the damn thing away for free, how are you going to sell it? [00:38:17] Scott: Yeah. Do you look at also your first run of bars and stuff kind of like you’re not looking to make money necessarily? You’re looking at that as your promotional material? [00:38:29] Ryan: I know I’m not going to make money on the first round. With all the money we put in, wait until you see the site. It’s really kickass. All the money we put in on just – I mean, we’ve spent thousands of thousands and thousands of dollars just on the design of the wrapper and the box. The box looks like a freaking boom box. [00:39:32] Scott: I love that you said that though because so many people they don’t understand that like you went all out because, again, that’s not your primary income stream. You’re not depending on that cash. [00:39:44] Ryan: This is fun. [00:39:45] Scott: Yeah. But if you want to actually create a business that could have a shorter period of time, you can start bringing in cash to actually fuel a business and maybe even put some in your pocket. I always tell people at least six to eight months before you’re going to put anything in your pocket that you should anyway because I think you should rolling that money in there to keep ramping things up. [00:39:59] Ryan: Of course. Right. [00:40:00] Scott: Right? But you’re saying maybe it might be a year, it might be two years and that’s okay because it’s something you’re building kind of the infrastructure but you’re also building the brand. And like you said, like getting that box in your hand I mean think about when you get an Apple Watch or a product, you get it. It’s like Christmas. You’re like, “Oh my gosh, like the box feels so nice. They got everything laid out.” Like there’s something about the packaging that makes you represent the brand. Because as you said before, Amazon is a trusted brand. I mean, that’s what I’m looking to build is a brand where people like so every time Rewind comes out with a new product like, of course, I’m going to buy it. I love this company as opposed just trying to squeeze every dollar. And a lot of times, Scott, what happens is people they get so far into the internet marketing world and they’re following all these guys, and everything is about upsells and they go to these douche events and everything is squeezing every penny out of people and fake countdown clocks and all this crap to try to extract every dollar. People don’t want to be treated that way. So, we’re building the entire company on what would I want as a customer, as a consumer? How would I want? Well, I want free shipping. I don’t want to have to add $50 into my cart. Give me free shipping. I want to ship fast so our fulfillment center is going to be five steps from the post office. So, the minute the order comes in like every hour we’re running them over to save a day of post office pickup and this and that. Does it cost us more money in real estate to be next in the post office? Absolutely. Is it worth it for the customer to get it a day earlier? Absolutely. [00:42:29] Ryan: So, it’s all those little things that add up to brand loyalty because if you really want to do this, the reason I’m still alive and kicking almost 20 years later, I built my first online company in ‘99 when so many people I used to share the stage with, they’re gone. I have no idea what they’re doing, Scott. I don’t know if they’re driving Uber. Nothing wrong with that but they’re not online. They’re not building businesses. So, if you want to do it long-term, you have to look at it like a business and people don’t and it drives me crazy. So, these young guys they made $30,000 on a launch and what do they do? They go out and spend it all on a car, so they could take pictures. [00:44:12] Scott: But there’s so many people out there though that are buying into it and that’s what also kind of frustrates me some but I also say, “Well, that’s not my audience though,” right? [00:44:19] Ryan: That’s not your audience. [00:44:20] Scott: Like they’re going after the kid. They’re going after my 19-year-old son who would love to have a sports car like that’s who they’re going after but they’re not going after necessarily me who’s trying to help people build a business that they could do what you and I are doing right now and being able to do our own skill. You’re coaching a lot of your kids’ activities. I’ve done my kids’ activities. I still watch my daughter volleyball every time. I don’t miss it. That’s what’s important to me. That’s what’s important to you. [00:44:48] Ryan: And the way you mark it, the messaging you put out is going to dictate who comes into your world which is another reason why even with Rewind like we’re talking about the Breakfast Club. If you’re like one of these guys with the Ferraris, you’re not going to understand it and that’s fine. I’m not for you. [00:45:02] Scott: Right. You just repel those. Yeah. [00:45:03] Ryan: Right. And even in my internet marketing stuff like I’m not trying to attract those people. My events don’t attract those people, so be comfortable with who you are and who you want to attract and it’s okay to say no. Don’t try to build something that’s going to be for everybody like own your market, own your category. [00:45:34] Ryan: Oh yeah. They created a category of Bulletproof Coffee. [00:45:36] Scott: I mean, butter in your coffee is what it started with and then the beans and then now he’s got, I mean, I have all the beverages. I drink the beverages, the fat water. He’s got the bars, all that stuff. [00:45:47] Ryan: 100%. Yeah. I know Dave. He created a category of Bulletproof Coffee. He has his own name, his own brand and by him doing that, he created a category. Now there are other people who call it bulletproof style coffee. There are other people who have now the ACT oil, the MCT oil, and the butters up like in a packaged to go. It’s not his company but it’s the category. So, he should be happy that the category is growing because he’s clearly the category leader. That’s a great example. That’s a great example. [00:46:15] Scott: Yeah. I know. I mean, I love the products and I love his brand and I love how he did it. And like you said, when I get a package in the mail, I’m getting stickers that say bulletproof because I’m a bulletproof fan. I’m getting on the box you have the packing tape that says bulletproof all over it. So, he’s bringing that brand all the way through but it’s also the people that are, well, Deathwish coffee. I actually interviewed him. He actually lived near me in New York which was crazy but his whole story on how that started but it’s like the strongest coffee like he’s got this loyal following of this kind of like I don’t want to say biker dudes but kind of. It’s like I want the strongest coffee. That’s the brand. That’s who’s he’s created. That’s who he’s attracting and all that stuff. [00:46:59] Ryan: Right. But then the question with that is if he created that, and some of these guys don’t think like this – Dave was smart because he called it the brand is it’s almost like the category is his brand. The category is Bulletproof Coffee which is his brand too which is really smart but if it’s Deathwish coffee and Black Rifle, some of these coffees are like really strong but there’s not a specific category name like whoever was the first to come out with it should’ve said this is called – because we just say it’s a stronger coffee. I don’t know what it’s called. I don’t know if it’s called jacked up coffee but there should’ve been a category of that of name. [00:47:41] Scott: Right. Yeah. I think bulletproof is a perfect example because when you think of bulletproof you think of butter in the coffee or you think of the MCT oils. You think of brain focus like that’s what it’s for, not necessarily I’m going to have a cup of coffee to make me perked up, although it can, actually the oils and everything in it and fat and all that stuff. [00:48:00] Ryan: Right. I mean, look, iPhone the category that created the smartphone. I mean, they still have a huge piece of that market. [00:48:07] Scott: Yeah. That’s awesome. All right, man. So, this has been great. Anything else that you want to wrap up with? We’re going to have to definitely do a check in here to get you back on because I’m going to want to dig into the launch and kind of how things went, what went right, what went wrong and maybe we can keep people in kind of like in the loop as far as like a little case study here too just for us and kind of follow along. [00:48:28] Ryan: Absolutely. Yeah. I’m looking forward to coming back. I’ll come back and hopefully a year from now it’s going to look very different. Maybe we have five or six products and maybe it’s already an eight-figure business. I don’t know where it’s going to go but we’re going to have fun along the way. But yeah if anyone’s interested in seeing what we’re doing, just go to RewindToday.com. Check it out. [00:48:47] Scott: Yeah. Where would they get more information about you? You have a new podcast I believe that’s going to be coming out and stuff. So, they probably just jump on your email Iist is probably the best way to get there. [00:48:56] Ryan: Yeah. Well, go to Freedym.com and the new show is going to be at RyanLee.com and that is launching within a few weeks. It’s going to be a daily show and my stuff is just 10 minutes just in your face, just give me something like to do today and then move the hell on with your life. And then if you got more time then you can listen to Scott’s show. [00:49:20] Scott: Awesome. Love it. All right, Ryan. Enjoy the snow in your neck of the woods. I’m going to go out and take a walk in the sun. Not to rub it in or anything. [00:49:27] Ryan: Thanks. Good for you. [00:49:30] Scott: All right, man. We’ll talk to you later, All right. Thanks a lot. Appreciate it. [00:49:32] Ryan: All right. Thanks, Scott. [00:49:33] Scott: Take care. Bye. [00:49:35] Scott: All right. So, there you have it. Another great episode with Ryan. Man, I’ll tell you what. I was just excited to kind of go through this process with him and kind of really picking his brain and it was funny. After we got off, he skyped me back. He goes, “Man, you ask some really good questions,” and I’m like, “Well, I’m interested. I want to know like these things and I know that a lot of people listening want to know those things too.” So, he thought it was really awesome that we were digging in and some of those questions he wasn’t even planning on answering because he didn’t even think of them himself, but it was really cool to dig in and see exactly where he plans for this thing to go. But again, like he said, it may work the first round. It might not and if it doesn’t he’s just going to pivot. He’s going to adjust. He’s done this time and time again but the main things that I want you to really pay attention to here is he’s talking about how to differentiate himself in a very competitive space. Learn from that like that is really, really important advice. And then also not necessarily worrying about what everyone else is doing and just doing what he believes is going to do the best to serve the audience and that will differentiate him from everyone else. And just a whole another spin on it, how he’s really just going after one part of this giant market. And wherever that leads, it leads but it’s just a great lesson to be had here. So, again, guys, the show notes can be found at TheAmazingSeller.com/492. All of the resources there, the links, everything, related to Ryan will be there as well. Great guy. I would definitely jump on his email list. He’s a great writer as well as far as his emails. He talks about his life, but he also talks a lot about business and he’s got a lot of stuff that just is old school like business and I love it. So, definitely go check that out. All right, guys. So, that is going to wrap up this episode. Remember, as always, I’m here for you, I believe in you and I’m rooting for you but you have to, you have to, come on, say it with me, say it loud, say it proud, say it with some energy today, Ryan’s got some energy, why don’t you guys have a little energy today? Take action! Have an awesome, amazing day and I’ll see you right back here on the next episode. 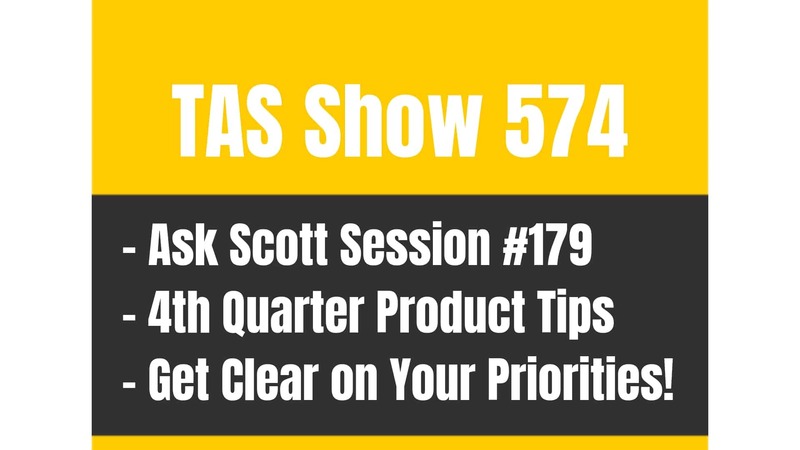 TAS 574: Ask Scott #179 – How To Research Products in 4th Quarter without Being FOOLED!